Opel/Vauxhall's new small gasoline engine family is set to debut in the Junior minicar at the Paris auto show in September. Opel parent General Motors Co. and its China partner, SAIC, are co-developing a small engine family of three- and four-cylinder units with displacements from 1.0 liters to 1.4 liters in the first joint powertrain development between the two companies. The engines are Euro 6-compliant and have direct injection and turbocharging capability. Opel has not said which will be the first car to use the small engine, which it says has a compact, lightweight design, but the brand's new minicar, code-named the Junior, is a strong candidate, according to sources. SAIC will produce the engines in China for use in its MG and Roewe brands. 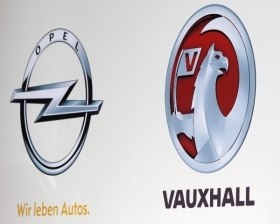 Opel will build the engines in Hungary. The engines will improve fuel economy over existing engines by 10 percent, Opel says. Torque will increase by 20 percent. The engines, along with new medium-sized engines including a 1.6-liter diesel and a 1.6-liter turbocharged gasoline unit, "will have replaced a substantial amount of our current engines by the end of the decade," said Jeff Lux, Opel's head of powertrain engineering. Lux said the new small engines will be used across Opel's model range. "You'll see increasingly broader applications for them," he said. The Insignia mid-sized car, whose entry-level engine is the current 1.4-liter turbocharged gasoline unit, is a candidate. The powertrain range will also be used by other GM brands. "There will be a role for them in the United States," Lux told Automotive News Europe. The range of medium engines will be seen "within two years," Lux said. Opel is expanding its plant in Szentgotthard, southwest Hungary, to build the small- and medium-sized engines to boost annual production capacity to 500,000. GM and SAIC are also developing a dual-clutch transmission. The transmission can accept torque of up to 250 newton meters initially, with bigger outputs planned in the future. "I think we'll see a wide spread of applications for it," Lux said. He said the transmission will help improve fuel economy and reduce CO2 emissions but declined to provide estimated figures for the improvements.